EJ Phillips often mentions Dr. and Mrs. Dr. Nagle, the boardinghouse keepers at East 21st Street (originally at 9 West 12th St). Hattie and Mrs. Dr. Nagle were going to hear “the Cowboy Pianist” (Mar 12 1886) and a number of them went to “a private box at the circus” in April 1886. EJ Phillips joined them for Thanksgiving (Nov 27 1891) or Christmas ( Dec 26 1890) dinner and went to visit them when she was staying elsewhere. Her only reference to Dr. Nagle’s professional knowledge came in 1893 when she asked about the prevalence of measles when 2 year old Edward was possibly coming to visit (being well aware of the dangers since Elizabeth Ellen Dolman’s death the previous year) but was told there were no more cases than usual in the city. John T. Nagle (1842-1919) seems to be the author of “Table showing the total number of stillbirths and deaths (with an enumeration of some of the most prominent causes) which occurred in the city of New York during the ninety- one years ending Dec. 31, 1894” [n.p.] 1896 [LC Library of Congress] and “The status of acting assistant surgeons of the United States Army, who served in the late Civil War, being a reply to the ruling of the War Department” New York, M. B. Brown, printer, 1893 [LC] and An appeal to President Roosevelt for justice to a class of acting assistant surgeons of the United States Army who served in the Civil War [New York : M.B. Brown Press, 1908. [College Physicians & Surgeons, Philadelphia]. The Library of Congress provided several publications of Dr. Nagle, one of which included these photographs. Another photograph appeared as the frontispiece in the 1921 Journal of the Irish American Historical Society http://books.google.com/books?id=q38TAAAAYAAJ&dq=%22john+t+nagle%22+%22New+York&source=gbs_navlinks_s announcing his bequests to the Society of $60,000 and a house of East 16th St.
We know from a Sept 15 1882 letter of reference for Albert from Dr. Nagle, (as Albert was looking for a job at the Silk Twist factory) on the letterhead of the Health Dept of the City of New York Bureau of Vital Statistics, No. 301 Mott St, that he had known Albert for the past 4 years (since shortly after the family arrived in New York from Philadelphia) and could testify to his habits “a gentleman of good moral character, industrious and persevering” and was also well acquainted with his mother and his sister (both of exemplary character). 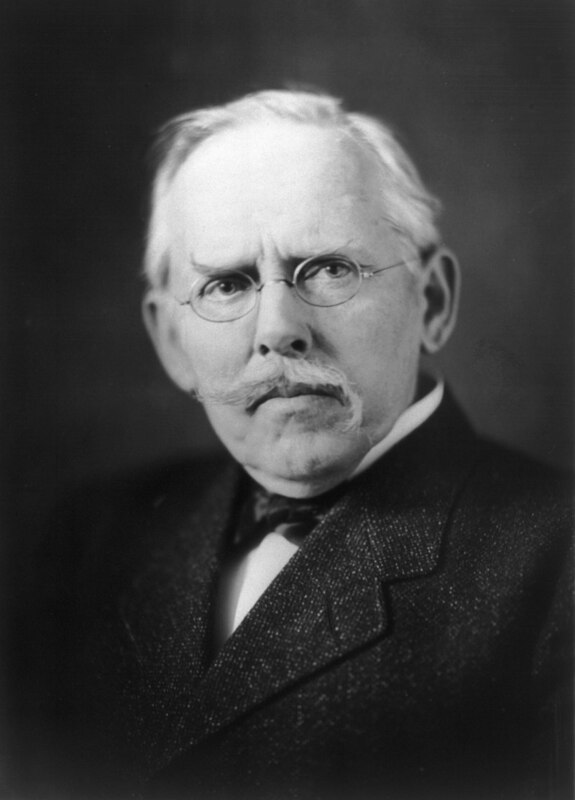 EJ Phillips never mentions Dr. Nagle’s connection with Jacob Riis, but given her interest in Henry George, newspaper reading and interest in current events it would be surprising if she was not aware of their collaboration. Dr. Nagle’s obituary (New York Times June 15, 1919) mentions how Nagle “joined the late Jacob A. Riis in his pleas for small parks in tenement districts and for the abolition of “rear tenements … and also urged recreation piers. Riis writes in his autobiography The Making of an American how “upon my midnight trips with the sanitary police that the wish kept cropping up in me that there were some way of putting before the people what I saw there. A drawing might have done it, but I cannot draw, never could…We used to go in the small hours of the morning into the worst tenements to count noses and see if the law against overcrowding was violated, and the sights I saw there gripped my heart until I felt that I must tell of them, or burst, or turn anarchist, or something…I wrote but it seemed to make no impression. At least that was my purpose. To the photographers it was a voyage of discovery of the greatest interest, but the interest centred in the camera and the flashlight. The police went along from curiosity, sometimes for protection. For that they were hardly needed. It is not too much to say that our party carried terror where ever it went. The flashlight of those days was contained in cartridges fired from a revolver. The spectacle of half a dozen strange men invading a house in the midnight hour armed with big pistols which they shot off recklessly was hardly reassuring, however sugary our speech, and it was not to be wondered at if the tenants bolted through windows and down fire-escapes wherever e went. But as no one was murdered, things calmed down after a while, though months after I found the recollection of our visits hanging over a Stanton Street block like a nightmare. We got some good pictures, but very soon the slum and the awkward hours palled upon the amateurs. I found myself alone just when I needed help most. I had made out by the flashlight possibilities my companions little dreamed of. We know nothing of Dr. Nagle's interest in photography, but we do know about various Dolman's enthusiasm for the it, and have a quantity of photographs both for professional and personal reasons. 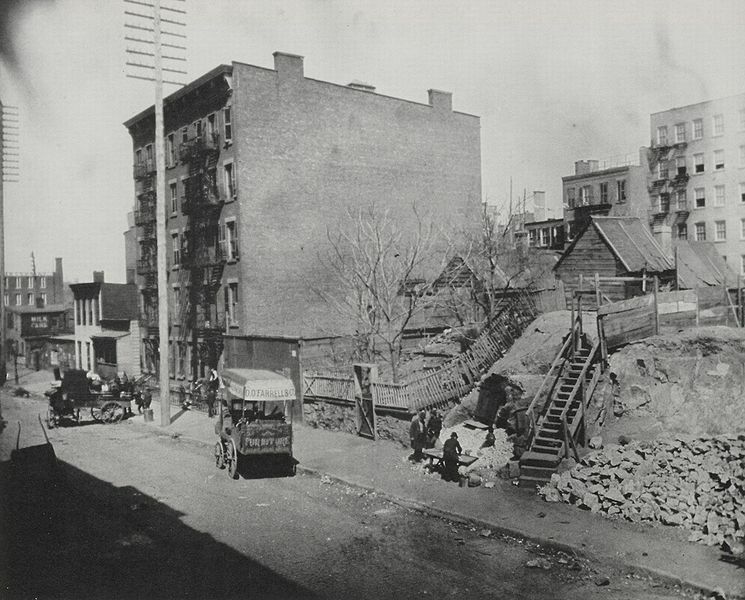 The New York Sun ran a story on Feb 12, 1888 “Flashes from the Slums. Pictures Taken in Dark Places by the Lighting Process. Some of the Results of a Journey Through the City with an Instantaneous Camera – The Poor, the Idle and the Vicious”. Riis also gave lectures illustrated with lantern slides on “The Other Half: How it Lives and Dies in New York. After some searching at the Library of Congress, several pamphlets of Dr. Nagle's were found, including Suicides in New York City during the 11 years ending Dec. 31, 1880, Cambridge: Riverside Press, 1882. This starts with a discussion of what can be considered suicide. Dr. Nagle distinguished between the legal sense "the taking of one's life as the result of an insane delusion or impulse is not suicide," but explains that he doesn't strictly adhere to this definition and that the tables of suicide include "all deaths of persons who have taken their own lives, unless such deaths were clearly proven to be accidental. This, I think, is the popular understanding of the word suicide, though it may not be an accurate one. Some of the cases that are tabulated as deaths by suicide may not appear clearly as such, and may not have been intentional, yet the fact that there was a knowledge that the action would be attended by danger to life induces me to place them among the suicidal deaths. I may mention as an instance of the uncertainty of classification the two deaths from abortion. It is reasonable to suppose that the two women who used instruments for the purpose of producing abortion did not intend to kill themselves, and that their deaths were accidental. Yet the well-known risk that attended the operation, and the bungling manner in which it was performed, producing death almost instantly thereafter, justify their inclusion among the suicides. It is very difficult in a majority of cases of self-destruction to determine whether there was an insane impulse of delusion prompting it. " Table showing total number of stillbirths and deaths (with an estimate of some of the most prominent causes) in the city of New York during the Ninety-one years ending Dec. 31, 1894, compiled from the records of the City Inspector, Metropolitan Board of Health and Health Dept. of the City of New York by John T. Nagle M.D. In 1894 the death rate per 1,000 inhabitants was 22.77, Deaths of children under 5 years of age 42.64 % and deaths of persons 5 years of age and over 57.36% . Nagle's appeal to Theodore Roosevelt (as Commander in Chief) on a question of law [whether he was a civil employee, as opposed to a military one] related to the ruling of the Pension Bureau of the Department of the Interior and the Judge Advocate General of the War Departments states that he was a medical officer during the civil war, from May 2, 1864, until June 15, 1865 and is signed "John T. Nagle, M.D, Late Acting Assistant Surgeon, US Army, in charge of Third Division and Reserve Brigade, Dismounted Cavalry, Army of the Potomac, Camp Stoneman, which left Camp Stoneman July 5, 1864 to join the Army of West Virginia, at Mt. Pleasant and Seminary, US general hospitals, etc. etc. (Commissioned), Assistant Surgeon, 192nd Regiment of Infantry, NY State Vols." John T Nagle Obituary NY Times June 15 1919 http://query.nytimes.com/mem/archive-free/pdf?res=F50E15F6345D147A93C7A8178DD85F4D8185F9 describes his 30 years of service o the City of New York, and his work with Jacob Riis in "pleas for small parks in tenement districts and for the abolition of "rear tenements" He also urged recreation piers". He was then living at 2 East 127th St.
Mrs. Dr. Nagle predeceased him according to his will reported in the NY Times July 3 1919 http://query.nytimes.com/mem/archive-free/pdf?res=F50C11F9355F1B7A93C1A9178CD85F4D8185F9 He was 71 when he died. [born c 1848] and he left an estate estimated at more than $250,000, including a house at 132 East 16th St [not 47 East 21st St where EJ Phillips boarded] given to the American-Irish Historical Society. He is described as "for many years a Tammany office holder and long in charge of the Bureau of Vital Statistics" However the Journal of the American Medical Association obituary described him as 77 http://jama.ama-assn.org/content/73/1/51.1.full.pdf which would have him born about 1842. 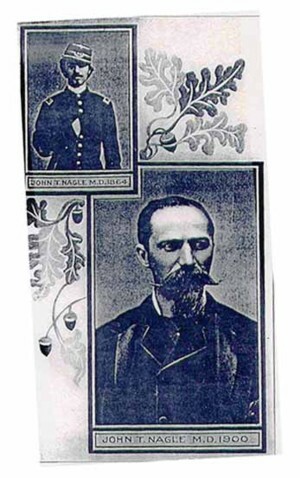 Nagle John T An appeal to President Roosevelt for justice to a class of acting assistant surgeons of the United States Army who served in the Civil War [New York : M.B. Brown Press, 1908. Starr, Paul, Social Transformation of American Medicine Starr notes that clergymen and physicians made similar salaries 120 or so years ago..